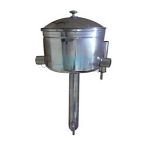 Double walled construction with inner and outer chamber made of stainless steel. 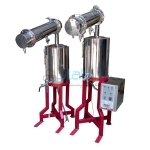 The unit is recommended for making pyrogen free distilled water for routine laboratory requirements. 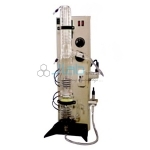 The assembly consists of a corning glass flask with embedded heating elements fused in spiral type glass coil internally at bottom. 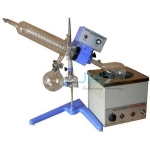 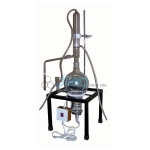 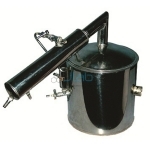 The apparatus consists of an evaporating flask rotated by heavy duty motor in a heating water bath.